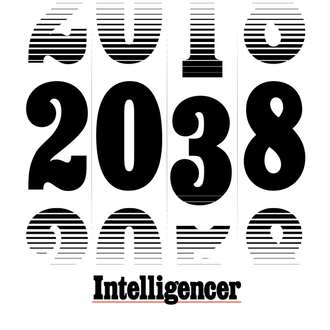 Cowen joined hosts Max Read and David Wallace-Wells to discuss what he sees as our 19th-century future. Click above to listen and subscribe. If we’re talking about 19th-century politics, there’s one event that sticks out. Are we headed for a civil war, or some kind of mass armed conflict between Americans? ﻿Although partisanship will go up and debates will continue to become more and more emotional, I don’t see any evidence that we’re headed toward anything like a civil war. The splits are not mainly defined by states or North versus South. Today is a more peaceful era. Police tactics have much improved … the riots of the 1960s are very very far away. So I think a lot of the fighting will stay on social media. Do you see that divide playing out geographically as well? Are there going to be parts of the U.S. that are defined as blue America and parts of the U.S. that are defined as red America, with regional rivalries? Or do you see there being some contestation in which the political disputes unfold at a more local level? ﻿Well, right now, as you know, it’s the coastal elite in major cities versus many other parts of the country. But I think that will be in flux. So questions such as, at what rate will former Latino immigrants vote Democratic? Will Asian-Americans defect to the Republican Party in greater numbers? Those are hard to predict. But I don’t see the current coalitions as fully permanent. There’s always competition at the margins and the views of the coastal elite have failed electorally in some ways. And I think they will be moderated, and in the last election cycle you saw that. Are we looking at a world where everybody is just kind of constantly on edge about politics? Well, I wouldn’t say everyone. The happy people will be those who turn off their smartphones, or who don’t put Twitter on them, and who just go about living their lives. And that is, in fact, most Americans, either now or in the future. But I think the intellectual classes — people in media — will become less and less happy. They’ll be more stressed and every day they’ll feel like they’re being put through the wringer. And again this is not the distant future. I think this is America right now. Do you think it means that some people in those classes are going to turn themselves off of electoral politics? They seem to get more and more interested. It’s like an addiction. So I find it striking that, say, the reading of fiction has fallen about 50 percent since Trump was elected. You know — what fiction can compete with what we see happening in the White House? So I don’t see that changing any time.